When we had Mattey's party we did tacos and I bought a LARGE can of nacho cheese. We have been going through that can rather quickly. We ran out of chips the other day and we (not Mickey) decided to try some different things dipped in the cheese. 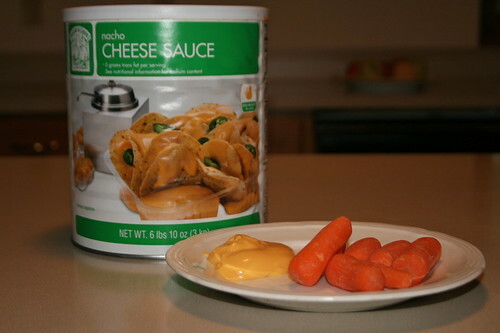 The kids and I all agree that nacho cheese goes very well with baby carrots. The crunchy sweetness of the carrot paired with the spicy cheese is yummy.